Wolfram Alpha: Helpful or Hyped? 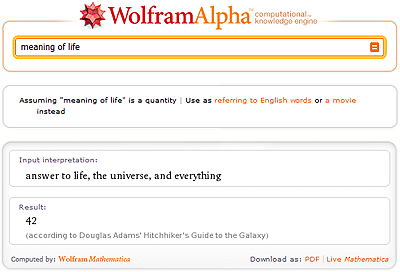 Wolfram Alpha is a name that’s causing a huge frenzy of speculation on the web. Cited as being the most important website ever and a Google-killer, wolframalpha.com was launched with a huge marketing blitz on Friday. As is usual with these high-profile events, the site failed almost immediately. It is live again, but this weekend has been re-branded as a “test” launch with the full service expected on Monday 18 May. 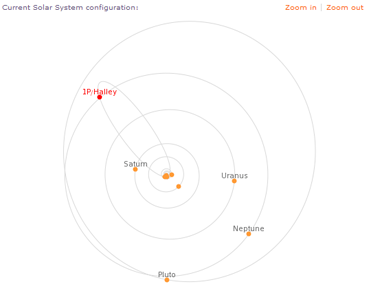 Despite the odd name, Wolfram Alpha is an interesting project. The system is promoted as a “knowledge engine”. Superficially, it looks like any other search engine, but its aim is to present intelligent data rather than links to other websites. The project’s creator, Stephen Wolfram, was frustrated that computers had not reached the technical summit people expected 50 years ago. You can not ask a computer a natural language question and have it compute the answer. Wolfram Alpha is possibly a first tentative step towards that goal. The system is primarily aimed at a technical audience so it could become a useful resource for students, researchers, analyts and scientists. Getting the right phrase is a little hit or miss. The results sometimes give links to other resources on the web, but Wolfram Alpha rarely shows what else it knows or provides a way to drill down into the data. Absolutely not. Wolfram Alpha will never have the global appeal of Google’s search results. It may give intelligent and accurate data, but it does not provide opinion, reviews, or the variety of information sources. The site will be useful to find facts quickly and obtain attractive graphs or diagrams. Students will certainly benefit and I can see it being used in association with Wikipedia. Have you tried wolframalpha.com? Did it understand you? Will you use it?